Soothing and nourishing spray gel for smooth razor glide. 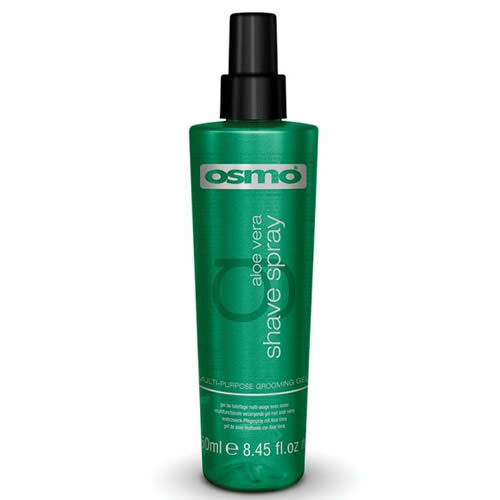 Osmo's Shave Spray is a gel with a soothing, non-irritant formula containing aloe vera that's a fabulous aid to precise shaving without the need for water. It helps to control razor glide, skin fades and assists with beard definition. It's also paraben- and sulphate free. 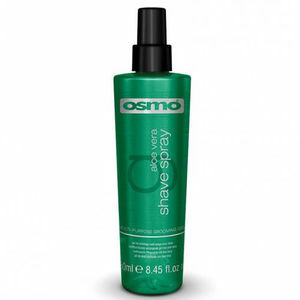 Scented with spearmint, Osmo Shave Spray a zesty and invigorating product for a fresh, smooth shaving experience. A lightweight, oil-free hair tonic with a wonderful melon-fresh fragrance that stimulates the scalp and refreshes styles. Classic metal safety razor combining vintage looks with modern engineering for high performance shaving. 2 high quality stylish versions of the bestselling Mach 3 razor imbued with the distinctive Bluebeards style. Choose from the Standard (white) or the super-premium Privateer.